• To device and implement Sales and Service strategy and optimize the 'Customer Network - This includes Brunch Network, ATM Network, Alternate' Digital Channels including Agency Banking etc. • To ensure all local regulations and corporate policies are adhered to in customer network. • Ensuring the brunch distribution is positioned to meet NBC strategic needs whilst meeting its brunch standards in terms of. 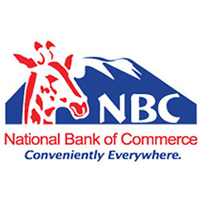 • To implement a strategic approach to ensure that the overull channel portfolio is aligned to the business objectives of NBC and meets customer requirements and market demand in a profitable and efficient way. • Ensure adherence to Funding, Liquidity and Capital Management policies and in-country regulatory and internal capital requirements. • Forecast regulatory and economic capital demand & supply across business units. • Determine capital buffers and perform Cost of Equity calculations in line with enti1¥ approved principles and methodology. • Responsible for development and delivery of ICMPs. • Responsible for the in-country AlM process within the guidelines set by entity. • Ensure appropriate funding profiles are achieved and determine capital markets issuance need. • Responsible for robust funding plans which are tracked diligently with a challenge and review process against business plans including setting appropriate funding profiles. • Responsible for the bonk's Contingent Funding plans, Liquidity Risk Appetite setting and liquidity stress testing. • Thorough understanding of banking across segments, with ability to lead strategy on future initiatives. • Extensive experience in Treasury and Balance Sheet Management with a track record of leadership and development of the function across businesses. If you are not contacted by NBC within thirty (30) days after the dosing date, you should consider your application as unsuccessful.